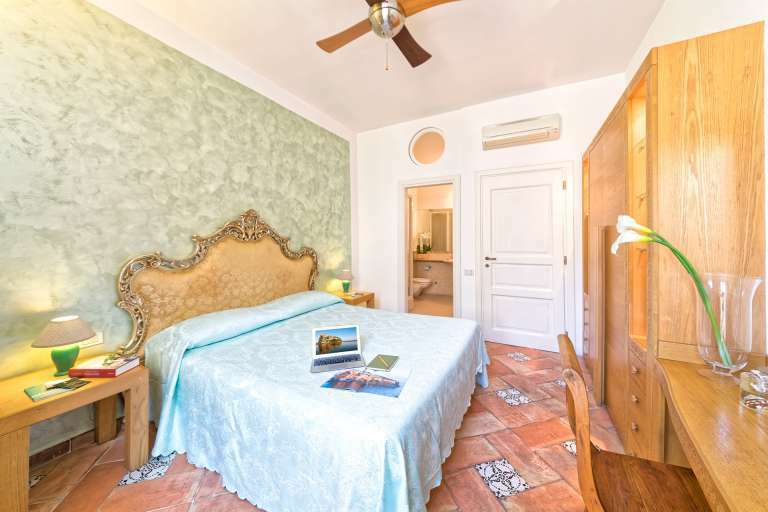 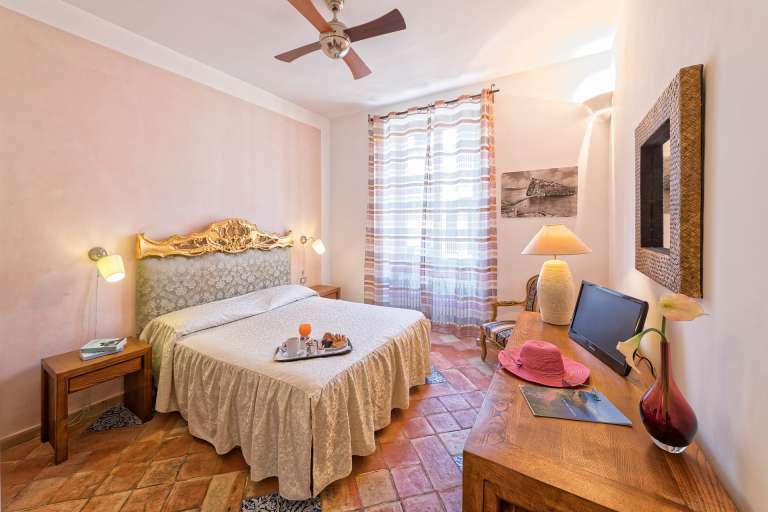 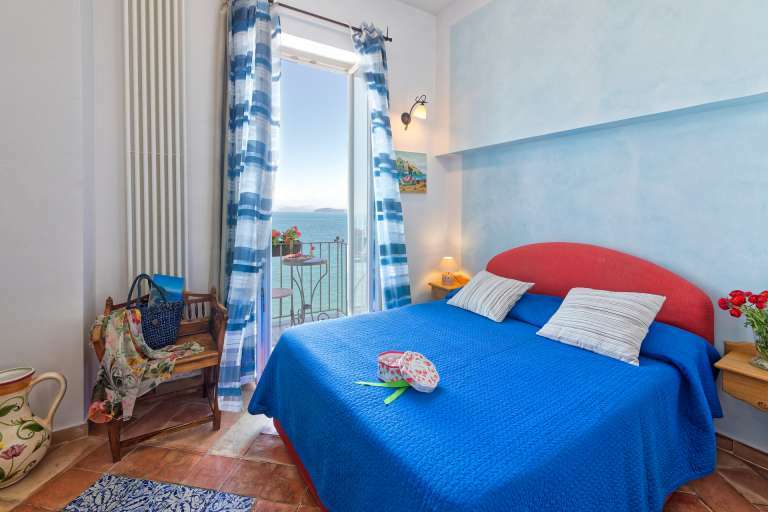 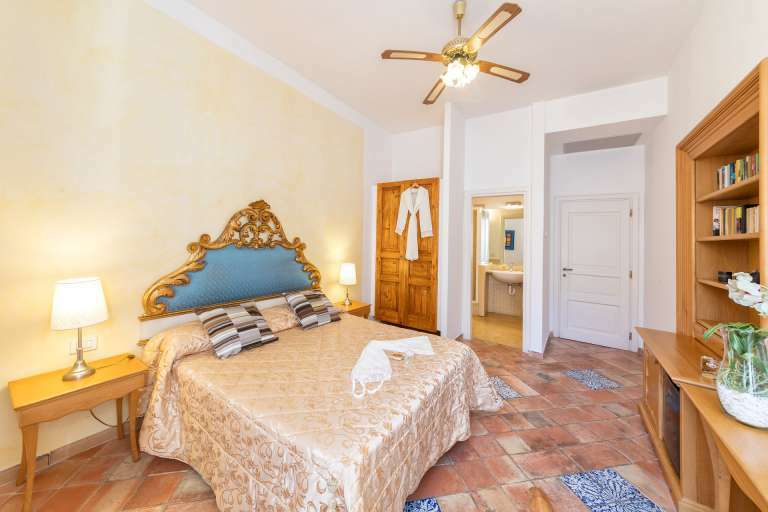 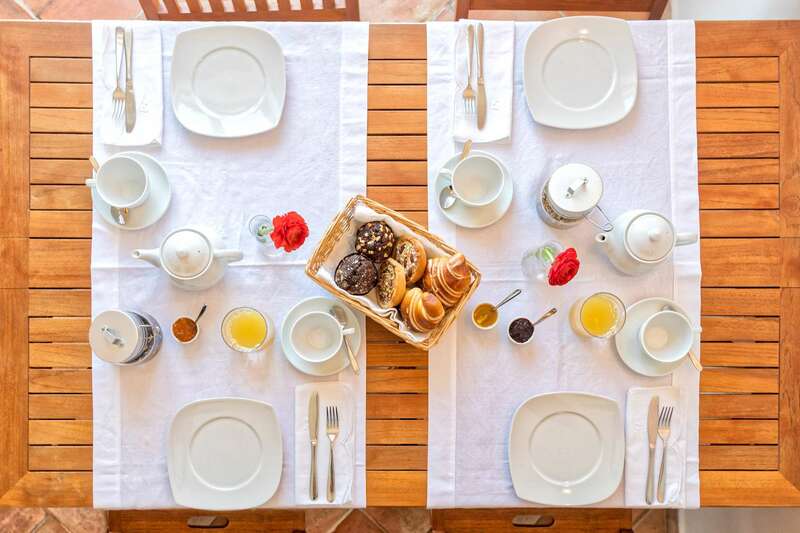 Waking up in Villa Lieta is a moment entirely dedicated to pleasure. 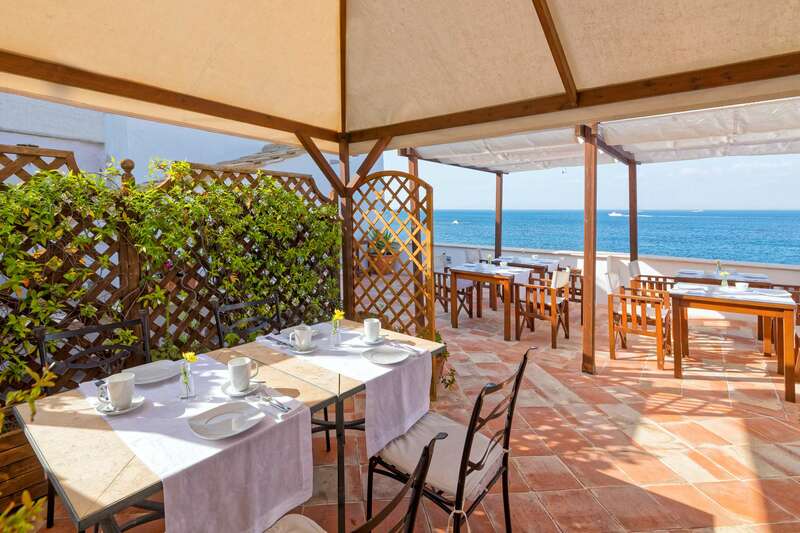 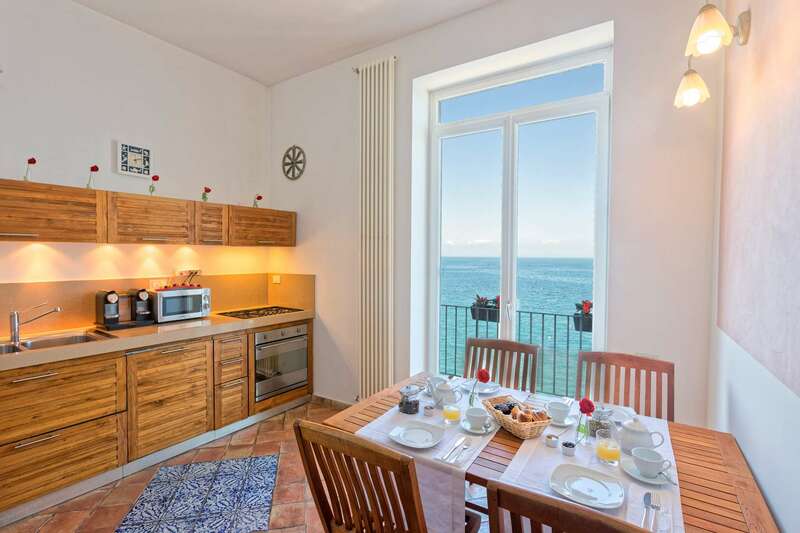 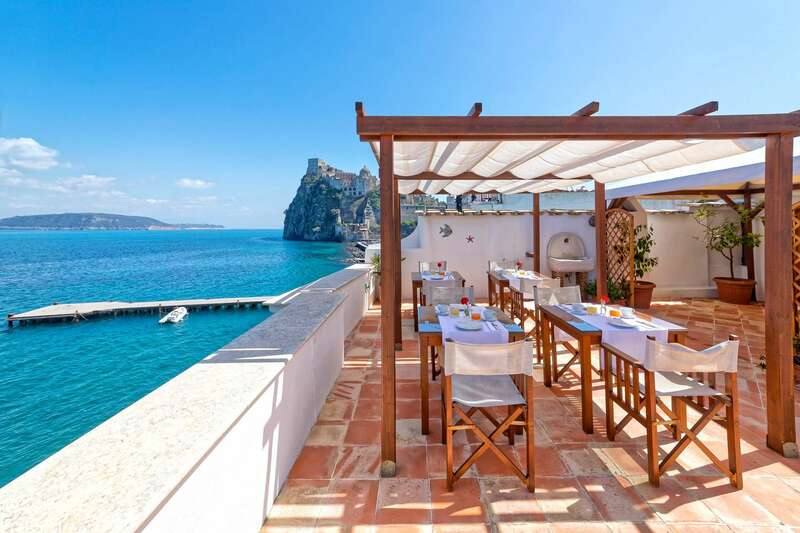 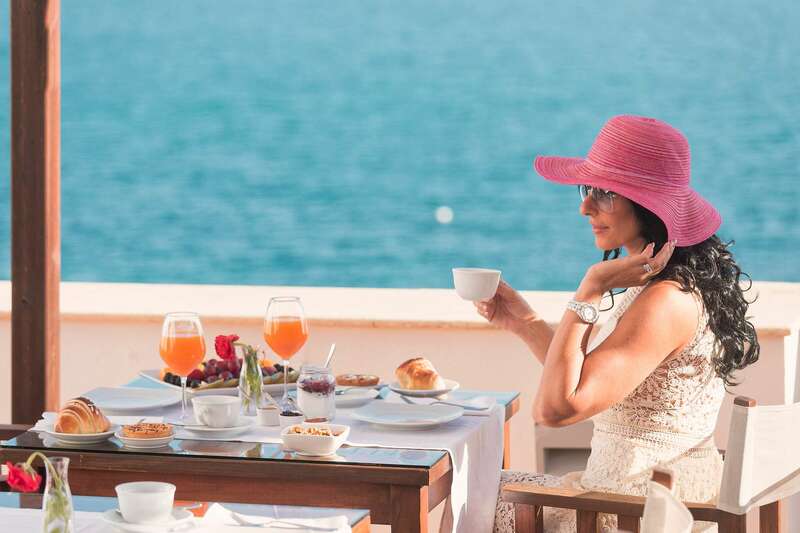 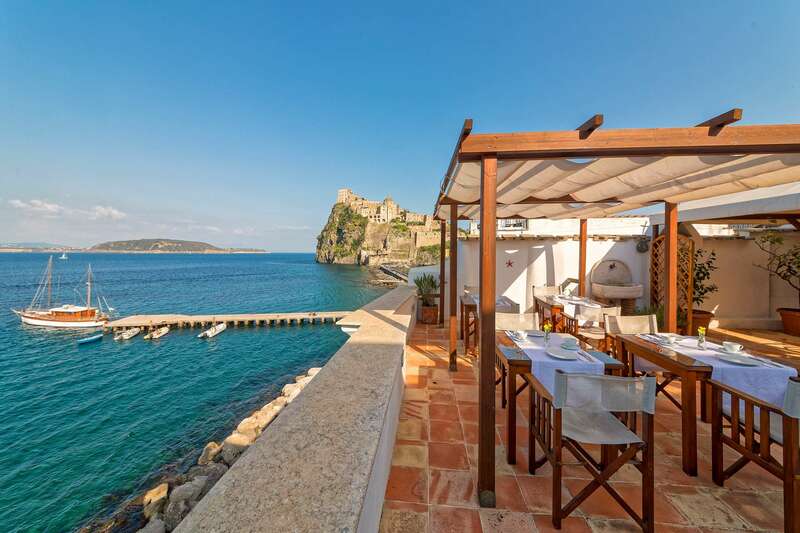 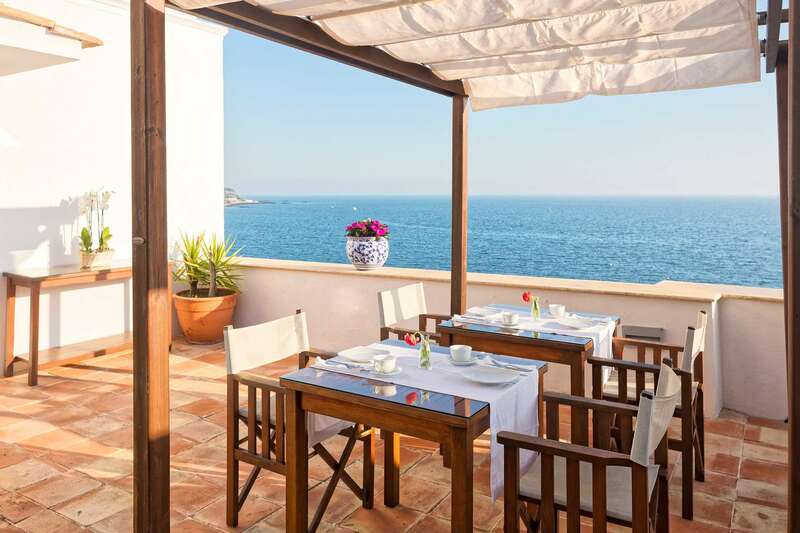 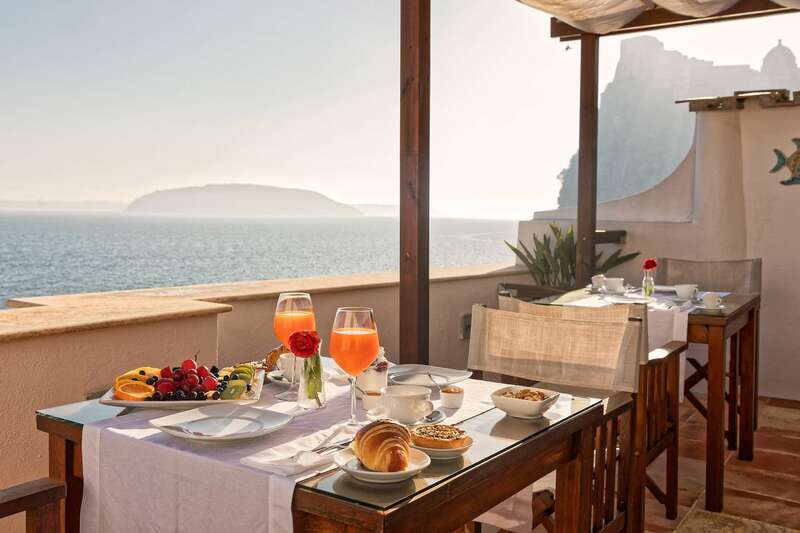 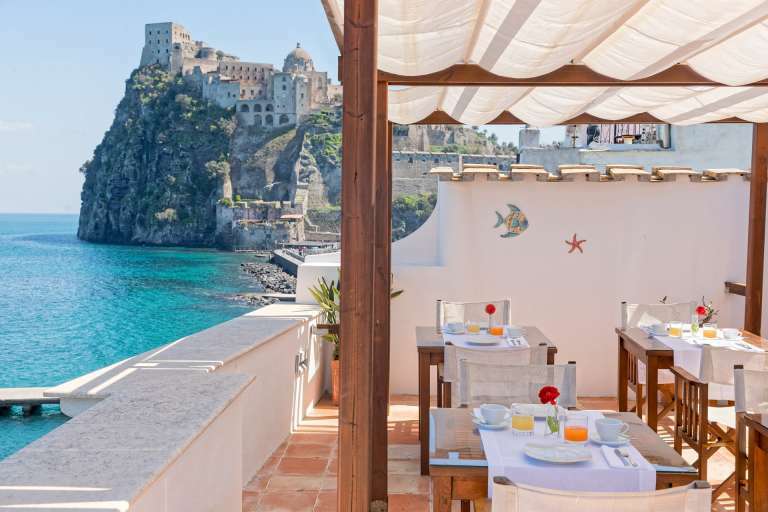 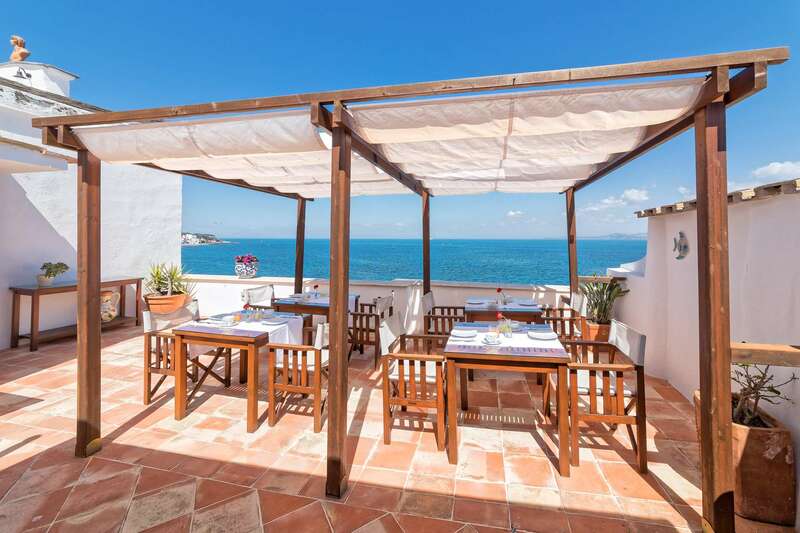 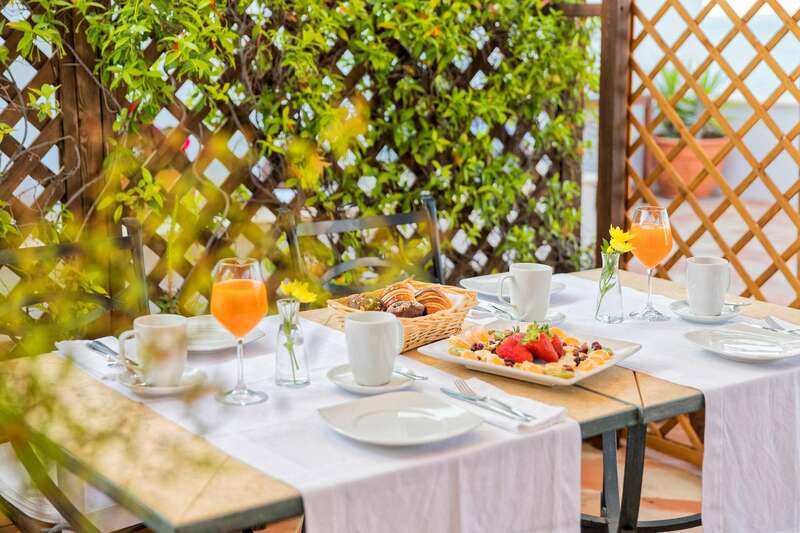 Every morning from 8.30 a.m. to 10.30 a.m. you will be able to savour a rich Italian-style breakfast that during the summer months is served on our panoramic terrace overlooking the sea. 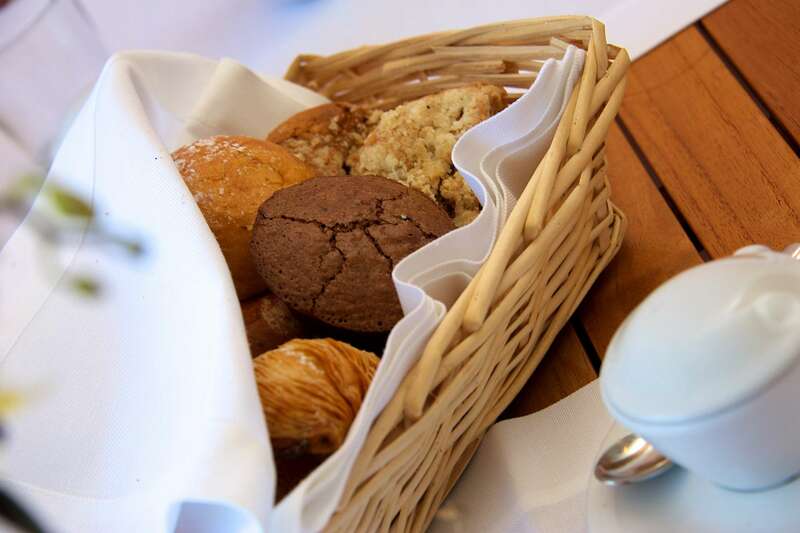 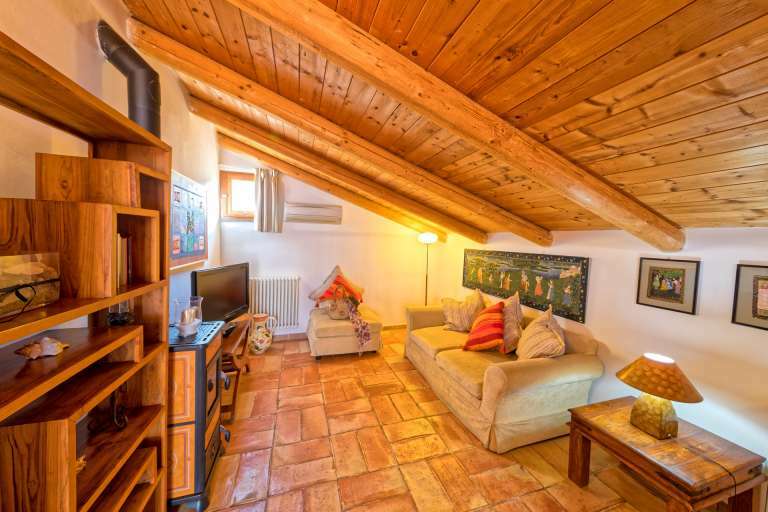 Instead, during the winter it is served in the cosy indoor lounge. 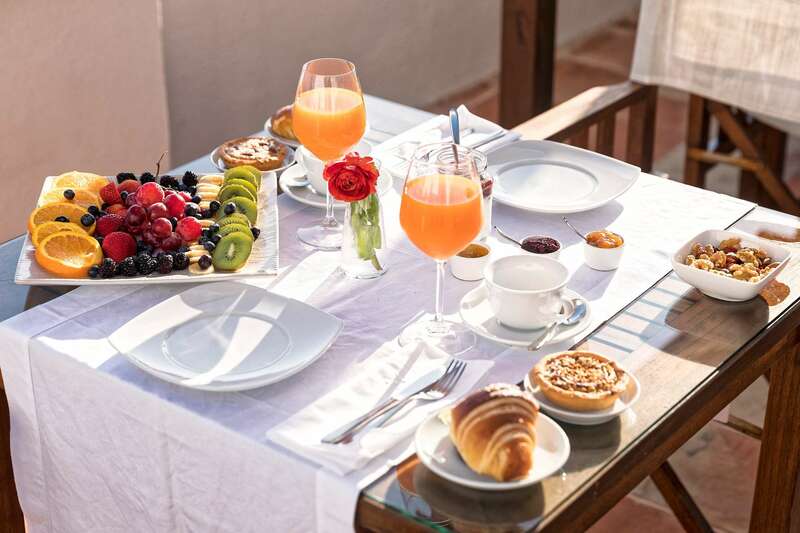 There are so many good things to eat at breakfast that prioritises the wholesomeness of home-made products such as biscuits and cakes; and then there is a great deal of fresh fruit, bread, croissants, yogurt, cereals, honey, jam and Nutella. 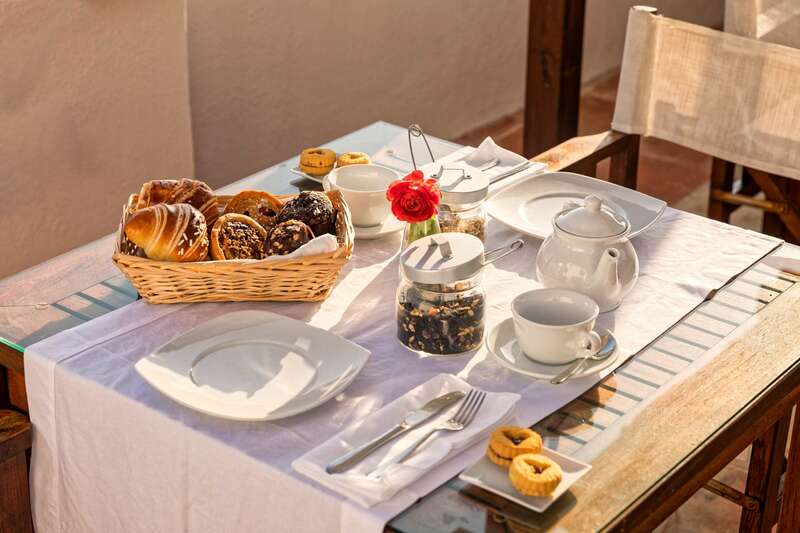 There is also the assortment of savoury food items for those who wish to enjoy a continental breakfast with a selection of cold cuts and cheese. 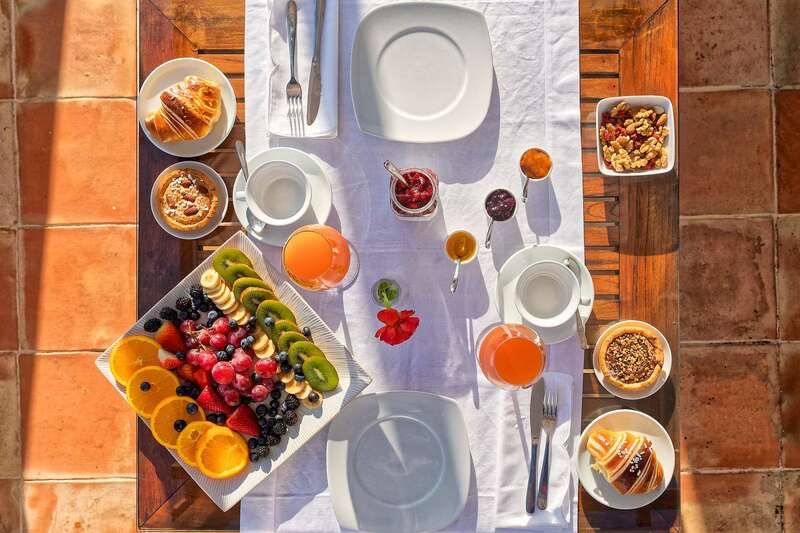 All of this accompanied by high-energy drinks such as coffee, cappuccino, tea and fruit juices.